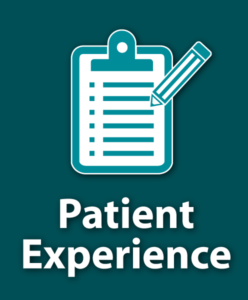 Patient Experience can make or break a hospital’s HCAHPS scores because it is the patient’s perception of their stay and has little to do with reality. Yes, in spite of impeccable care, if the patient feels that their stay was less than stellar, their scores will reflect it. The HCAHPS surveys sample the perception of the patient within multiple domains, however, out of all of them, doctor and nurse communication scores seem to be the outliers. Why? One may notice that by focusing on improving doctor and nurse communication scores, positive scores for perceived experience in other domains are realized. It is as if the positive communication scores cascade throughout the rest of the domains of care on the survey. We will consider each point in more depth, analyzing the strategies and methods to put in place to improve nurse and doctor communication scores. Additionally, we will discuss how invaluable a tool technology is in this regard. Bedside handoffs have become a best practice in many organizations to involve the patients and their family in their care. According to the article from Modern Healthcare entitled “Bedside handoffs boost patient satisfaction”, By David Royse, “supporters say bedside shift-change conferences can help avoid medical mistakes,” and beyond that, “Emory [Healthcare in Atlanta] now has significantly higher patient-satisfaction measurements, which she attributes at least partly to the revised shift-change handover process.” The article also highlights that the University of Vermont has experienced an increase in patient satisfaction because of implementing handoffs at the bedside. The patients want to know what is happening with their care. They need to feel like they have some control and they want a human to tell them these things. So how can technology fit into this environment? If a hospital decides to implement bedside handoffs, there are obvious benefits. To reduce errors though, humans that are doing these handoffs need tools. While in the room, utilize the digital patient room whiteboard and the health record to inform the staff members of the patient’s condition. While using the board, the patients will be able to follow along, and as more handoffs occur, the patient will learn how the board impacts their care and can empower them to be a part of the communication continuum. This level of involvement in their care will translate to their experience scores. In contrast to random rounding, purposeful rounding has become the best practice for many clinical teams all over to improve quality of care and patient safety. However, purposeful rounding can impact the patient’s experience. Stanford Health Care published their purposeful rounding system, as well as the results of the initiative. SHC identified eight specific behaviors that have ensured the success of the program. Included in their findings, they provided a table that outlines the main elements of their program. What is even more interesting, they report that “hourly rounding substantially increased patient satisfaction in ALL of the Press Ganey Subscales and the HCAHPS Subscales, every two-hour rounding, and hourly (purposeful) rounding.” Additionally, they stated that there is a “tipping-point” that is achieved with hourly rounding in the patient’s perception of overall experience. Can technology help? Similar to the handoffs, for staff to glance at crucial parts of the health record on the electronic patient room whiteboard while rounding will streamline the processes even more. Additionally, instead of wasting time writing on a dry-erase whiteboard during the valuable time of accommodating the eight behaviors of purposeful rounding, the nurse can document in the record and let the electronic whiteboard flow the updates as they come. 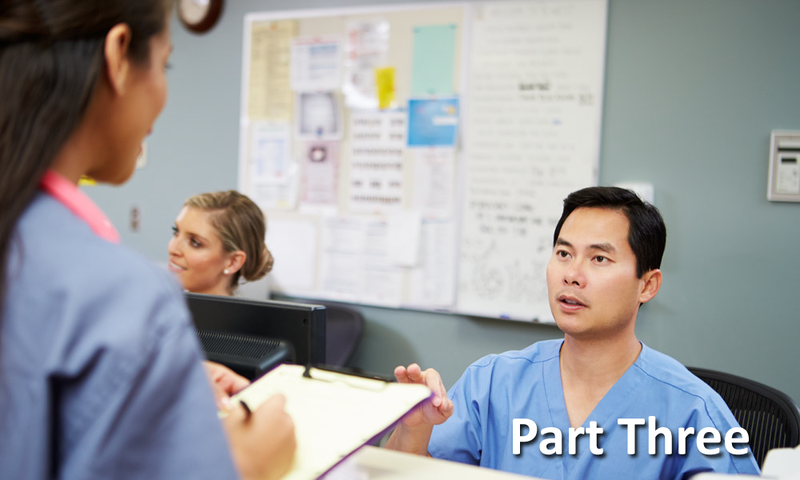 When the staff members are not in the patient room for a shift handoff or the hourly purposeful round, there are many data points to communicate to the patient and their family members. Who is my care team? What is my mobility status? Can I get up to go to the bathroom? What is my fall risk? When is my next pain med? When did my doctor say that I was being discharged? Is my pain getting better? When is my test today? These are all questions that patients and/or their family members are asking. These details exist on the patient room whiteboard. Electronic patient room whiteboards fit in with the NPSG perfectly. Innovative technology to ensure the patient has all of the critical information for them to stay safe and to remain oriented with their care is a reality today. By implementing the strategies in this article and Part 1 and part 2 of this series, hospitals can overcome deeply entrenched issues with poor communication, medical errors, falls, and significantly improve patient experience overall if utilizing technology that can help. To learn more about MEDI+SIGN Digital Patient Room Whiteboards, how they prove to be ideal for patient room communications to improve the patient experience, please visit us at: https://medisigndisplays.com. http://www.ccforpatientsafety.org/common/pdfs/fpdf/presskit/PS-Solution3.pdf”>Collaborating Centre for Patient Safety Solutions.World Health Organization. Communication during handovers [online]. 2007 May [cited 2009 Apr 21].